Q: Do I need to issue an employee with a contract of employment? A: Yes the Basic Conditions of employment Act requires that the terms and conditions of employment be reduced to writing. Q: What is a fixed term or temporary employment contract? A: Fixed Term or Temporary Employment Contract is a contract that provides employment for a limited period of time only. Q: Can I terminate a temporary contract before the end date? A: Yes you can but only for good reason (as in misconduct etc…), and you must follow the normal disciplinary procedure. You can’t rely on the fact that it is a temporary contract except at the end of the contract. Q: Does a temporary employee have rights? A: Yes, a temporary employee enjoys the full protection of the law for the duration of the contract period. Q: When is an employee permanent? A: In the absence of a written contract of employment defining whether an employee is permanent, temporary, part time or full time, any employee who works 140 hours for an employee will be regarded as permanently employed. Q: Must I give the employee a copy of their employment contract? A: Probation is a period of time allowed for at the commencement of a permanent contract of employment, during which the employee, will become familiar with the requirements of the position. Q: Is probation the same as temporary? A: No they are 2 completely different issues. Q: Can I dismiss after probation? A: Yes you can, but you must have followed a process of monthly evaluation, guidance and training to ensure that the employee is afforded all the opportunity to meet the standard, and a hearing should be held at the end of the probation period before the employee is dismissed. Q: Can I extend Probation? A: Yes you can extend probation as an alternative to terminating the employment contract, but you must have good reason to do so and you must have followed the correct procedure. Q: If an employee is sick must they produce a sick note? A: If they are off sick for longer than 2 days then they must produce a sick note from a registered medical practitioner, unless, they are off sick “regularly” then the employer may issue a written instruction to the employee that they must produce a sick note for each occasion that they are off sick, irrespective of the duration. Q: Should I accept traditional healer certificates? A: If the Traditional Healer is registered with the Traditional Healers Council (the note will have a Reg. Number), then the note can be accepted. Q: Can I challenge any sick note? A: Yes you can, by phoning the Doctor who issued it, to confirm the content thereof, as long as you have good reason to do so. Q: Can I reject a sick note? A: Yes you can, as long as you have good reason to do so, for eg: the handwriting is not legible, there are alterations, the name is incorrect, there are no contact details, there is no Reg. number, or the certificate is damaged. Q: Must I have a hearing before I dismiss? Q: How do I discipline a shop steward? A: Shop stewards are not treated any differently to normal employees, save that before instituting the disciplinary action against the shop steward, the employer must consult the trade union. Q: What is the CCMA? A: The Commission for Conciliation, Mediation and Arbitration is an institution established to resolve work place disputes efficiently and cost effectively. If you have a case going to the CCMA or a Bargaining Council, contact your Labour Relations Advisor for guidance. A: Conciliation is an informal process in which a commissioner will try facilitate the resolution of the dispute through a process of negotiation. Q: As an employer, can I be represented at the CCMA or Bargaining Council? A: Yes you can be represented, at Conciliation and Arbitration by a representative of your Employers Organisation, or in Arbitration by a Legal Practitioner, although the Practitioner may be required to present an argument allowing the representation. Q: What is a Bargaining Council? A: A bargaining Council is an organisation established by employers, and employees in an industry. The objective of the Council is to establish minimum wages and conditions of service, applicable to that sector of industry only. A council will generally have a dispute resolution function as well, which will perform the functions of the CCMA for that sector. Q: How do I retrench someone? A: This is a complex process of consultations and attempts to reach agreement and is best not undertaken without access to professional labour advice. Please contact your advisor before embarking on this process. Q: How many warnings must I issue before I dismiss someone? A: This depends on the seriousness of the breach. Some instances that are less serious, will require a progressive approach whilst others will warrant dismissal on the first offence. Your disciplinary code should guide you in this regard. Q: What is a disciplinary code? A: A disciplinary code is a schedule reflecting the various offences that may occur in the work place, and the consequences that the employee should expect when committing the offence. This should be displayed in a place accessible to all employees. Q: If someone is going to have a disciplinary hearing, must I also issue a warning? A: No you don’t. The hearing will determine whether the employee is guilty or not, whether a warning must be issued or not, or whether the offence warrants a harsher sanction. 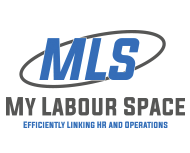 Q: Can Department of Labour Officials walk into my business and demand to see me? A: Inspectors from Department of Labour do have these powers. Generally they are happy to set up an appointment if the date and time is not convenient, although you would have to motivate why it is not convenient. Q: I have received a letter from a Trade demanding recognition, what do I do? A: A trade union, provided it meets the legal criteria relating to recognition (must be registered with Dept. of Labour, present its credentials to the employer, and must have enough members in your business to be considered sufficiently representative) does possess the right to be “recognised” by the employer. Please get professional advice in this instance.